The Canada Express Entry Program is an electronic immigration program designed by the Government of Canada. It allows people from all over the world to apply for immigration to Canada based on their specific skills. 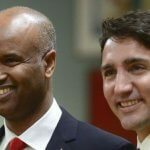 Taking into account, that Canada needs skilled workers in various trades, it has come up with the Express Entry Program to attract as many qualified people as possible. This article will go through what this program is and how to apply for it. What is the Canada Express Entry Program? The Express Entry Program is completed all online on the Government of Canada website. It allows people to submit their profiles of their skills, education, and employment history to gain points through a specific calculator designed by the government. Depending on the types of traits that an applicant has, they are ranked through various factors and get points. The profiles which get the most points are then invited to apply for Canadian permanent residence. 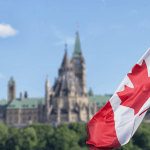 If approved for permanent residence, the applicant can then move to Canada and have all the privileges that legal residents has, including the right to apply for Canadian citizenship once they are eligible. 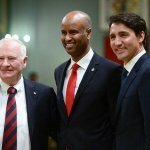 So the Canada Express Entry Program allows skilled workers to immigrate to Canada and work there, while on a path to getting their citizenship too. 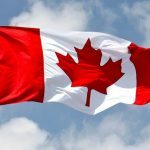 What are the types of Canada Immigration Express Entry Programs? The programs vary depending on their requirements to qualify. The main differences between them are language skills, qualified occupation, and work experience. The Federal Skilled Worker Program (FSWP) is designed for all skilled workers with foreign work experience to immigrate to Canada. It requires a high level of language proficiency in English or French (Level 7), as well as an occupation which falls into management jobs, professional jobs that require a university degree or technical jobs or trades that require a college diploma or apprenticeships. Finally, it also requires one year of continuous work experience in the specific occupation within the last 10 years. The Federal Skilled Trades Program (FSTP) is designed for skilled workers in specific trades who have work experience in a foreign country. It requires a Level 5 or 4 of language proficiency in English or French, an occupation that falls into the technical jobs which require a college diploma or apprenticeship and 2 years of work experience within the last 5 years. Additionally, those who apply must have a valid job offer from a Canadian company and a certificate which proves that they possess a high level of skill in their trade. Canadian Experience Class (CEC) is designed for skilled workers who have work experience within Canada. They must have a Level 5 or 7 in language proficiency in English or French and have an occupation that falls into management jobs, professional jobs, or technical jobs. They must also have one year of work experience in Canada in the last 3 years. Provincial Nominee Program (PNP) is a program designed for the provinces of Canada so that they nominate and select particular skilled workers which fulfill their needs. The applicant that is invited to apply must then live and work in the province which nominated and sponsored them. The program is managed by the provinces and only uses the Express Entry portal to receive profiles online. What are the requirements of the Canada Express Entry Program? If you have decided that you want to immigrate to Canada through the Express Entry Program, then you must meet the eligibility criteria. The first three programs have their own set of criteria, while the Provincial Nominee Program (PNP) has a few additional requirements that are specific to each province. Each answer you give on these questions will be used to calculate your points on the CRS Calculator. Different answers yield different points, and each Express Entry program requires you to pass a certain threshold to qualify. The total points are 100 and for example, to qualify for the Federal Skilled Workers Program, you will need a minimum of 67 points. After you complete the questionnaire, the website will generate a specific code number for you. You can use that to start your profile after you create your account. For the Provincial Nominee Program (PNP), you will need to be eligible for Express Entry, but you must also meet additional requirements. You must decide in which province of Canada you want to live in and contact the responsible authorities. You can find a list of all the Canadian Provinces and links to their contacts in the PNP eligibility site. Contact your chosen province and find out what the requirements are and assess whether you are eligible or not. If you are, then the province must nominate you in order for you to apply. How to apply for the Canada Express Entry Program? The application process for the Express Entry Programs is different, depending on which program you want to apply for. There is one application process for the first three programs, while the Provincial Nominee Program has a different procedure. Applying for the Federal Skilled Workers, Federal Skilled Trades, or Canadian Experience Class Programs can be done through these steps. The way that the Express Entry Program works is through a selection from the different profiles submitted from potential applicants. So you will have to submit your profile and prove that you are eligible. To submit this profile, you have to open an account on the Government of Canada website. You will enter the code you obtained from your eligibility questionnaire and then answer all the questions that are on the profile. You will write details about your age, nationality, education, work experience, and submit the documents you gathered in the first step. You can work on the profile for 60 days and then you must submit it. If you wait for more than 60 days, you will not be able to submit it and will have to start all over again. After you submit the profile, you will have to wait to see whether you are selected. Each year, the Canadian Government chooses from the pool of profiles those who score and are ranked the highest based on their qualifications. This can take 6 months or more and in the meantime, you can work on improving your score and updating your profile. For example, you can retake language tests for better scores or get a job offer in Canada if you did not have one before. If you are amongst the people with the most points, the Canadian Government will invite you to apply. In addition, if you are eligible and meet the requirements, the province you submitted your profile to will invite you to apply for the PNP. When you are invited to apply, you must accept the invitation to be eligible for permanent residence. You can also refuse the invitation if you were chosen for a program that you was not amongst your first choice. If you refuse the invitation, you will have to go through the process again, submitting your profile and waiting to be selected. The Government of Canada will send you the necessary forms you have to submit in order to apply for permanent residence. You will have to complete those forms as well as submit any supporting documents they ask of you in order for your application to be considered. You must also pay the fees, which are different depending on the program you are applying for. You will have 60 days to complete the application for permanent residence and after you submit it, you will only be allowed to make important changes. The Government of Canada will then evaluate your application for permanent residence for around 6 months and then notify you of their decision. If they approve your application, then you will be able to move to Canada permanently. If they deny it, they will inform you of the reasons which you can correct and apply again.